First off, we have their eyeshadows - there are 10 shades in total and they retail for $8.95 each. 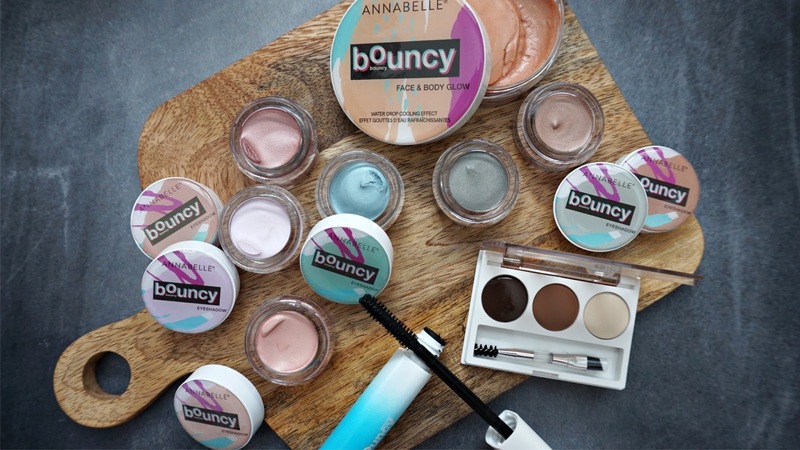 As the name of this collection suggests, these are pillowy soft, a mousse-like formula that is best applied with the fingers. 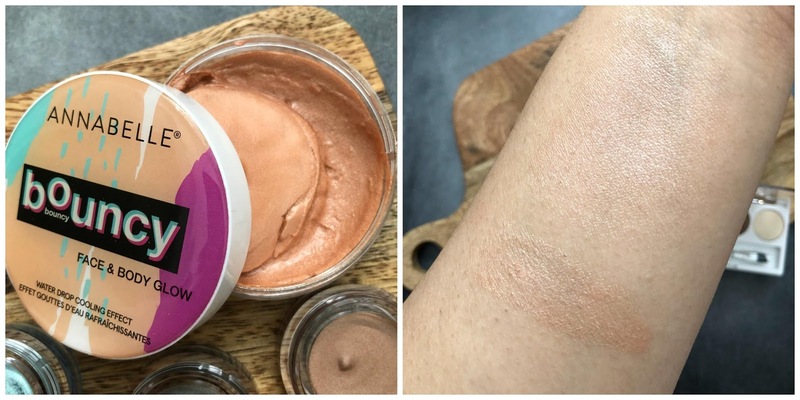 They are fragrance free, and is very customizable when it comes to coverage - from a sheer natural finish to a fuller one (like below) - still in very natural everyday shades. 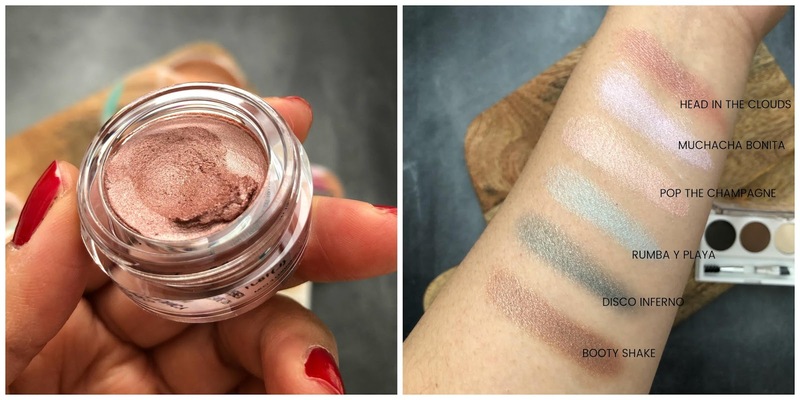 They boast a 10 hour wear when applied with primer, and well I have never worn makeup for that long, but it did last about 4-5 hours with zero creasing. Tip: quickly work the product on the lid with your finger and blend out before it sets! I found that using a brush just didn't give the same effect. 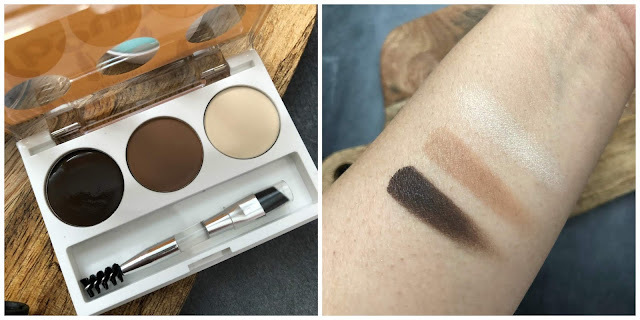 One product that was surprisingly great (as I have yet to find a drugstore palette that delivers this level of pigmentation), is the Bouncy Eyebrow Palette for $9.95. It contains a highlighter to bring out the brow bone and two shades of brown to help you achieve one that is right for you. The double sided brush also works to create sharp hair like strokes while the spoolie brushes out the excess product and blend it all in for a more natural finish. This product is great packaging wise, has a nice snap closure so you can take it on the go with you in your travel pouch. I know it's Winter right now, and it does not seem like Spring/Summer is coming anytime soon - however! You definitely need to go to the drugstore and pick up the Bouncy Face and Body Glow - it offers either a sheer finish when blended out, or can be layered to give a more radiant glow. It smells faintly of coconuts in a very natural and subtle way, and is even cooling to the touch. This contains coconut water in its formulation, so it also helps to keep your skin hydrated. At $9.95 I would say it is totally worth it! 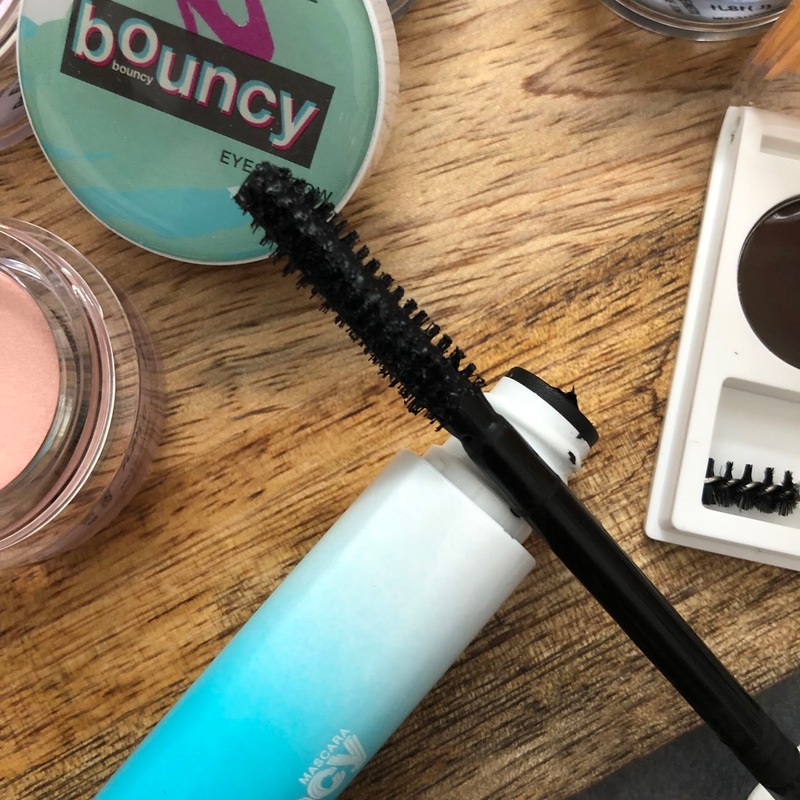 The Bouncy Mascara, retailing $9.95 has a formula that I love as it gives my short straight lashes volume and length while being able to hold my curl and not smudge onto my lower lash line. The wand pivots and bends left or right to help with reaching into the inner corner and other hard to reach areas. 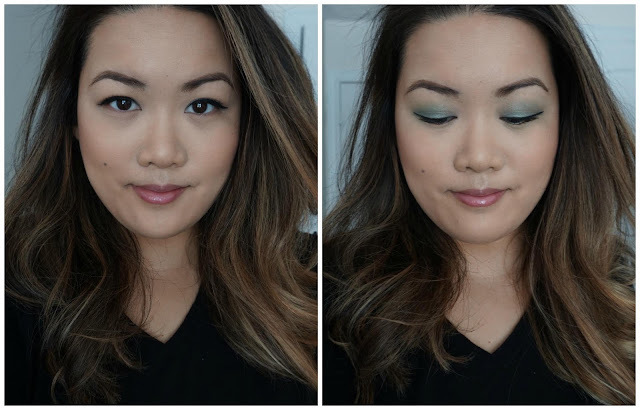 Below is a look I created with the products mentioned in the post above - as you can see the shadow gives a nice wash of color without being too bold, perfect for the everyday girl who wants some color and may be intimidated, or just want a more natural version of it.